I have a couple of suggestions for the next Golden Reunion. I know how we could save Gary Wall a lot of money. I bet everyone would rather sit and visit with each other on saturday night after the dinner, rather than come all this way to have to watch a very boring magic show. It would be a lot more fun. I bet a lot of people would like this idea. I wish they would list where everyone lives under their name on the name tags. It would make it a lot more interesting. SEE WHO ALL IS COMING TO THE 2019 GOLDEN REUNION LATER WHEN WE GET THE INFORMATION. THE PHS CLASS OF 1964, HAD ABOUT 30 PEOPLE AT THE 2017 REUNION. 1964 Parsons Vikings at the 2017 PHS Golden Reunion. "YOU MUST BE FROM PARSONS KANSAS WHEN"
VIDEO OF THEN & NOW, 1911-2011 IN PARSONS. 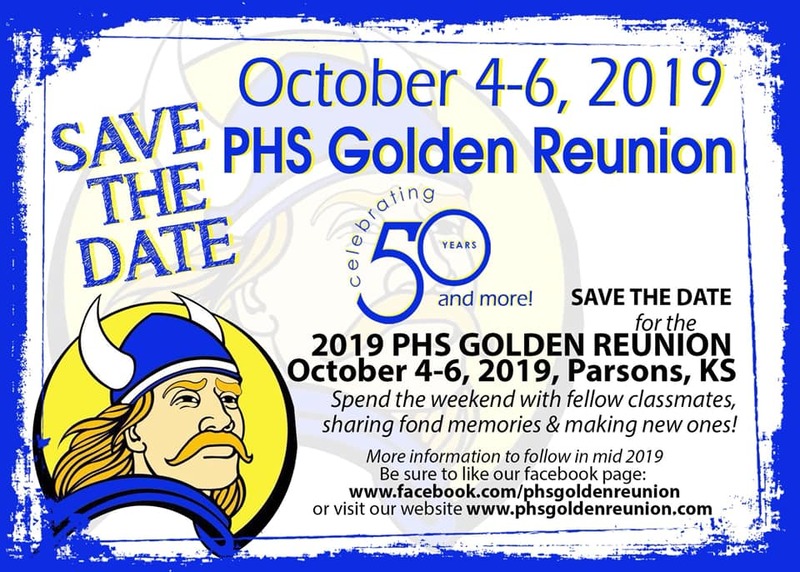 The PHS/ST.PATS Golden Reunion Committee has been busy planning a great reunion for all of those who graduated from Parsons H. S. & ST. PATRICKS H. S. in 1969 or before (50 years or more). 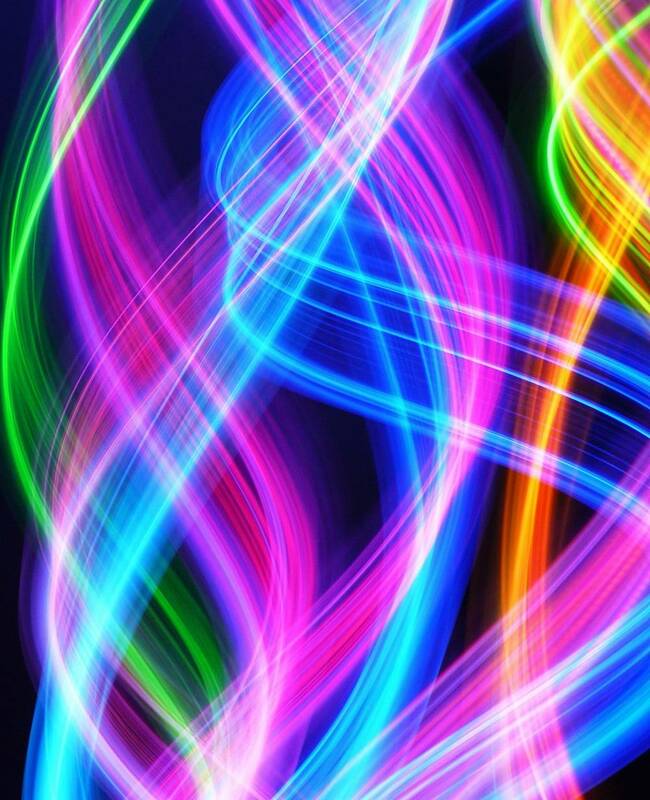 We are pleased to provide you with the 2019 event details. On Friday afternoon, Oct. 4, 2019 the Wall Family Center, located at 2605 Main Street, will be open at 1pm to 4pm for registration and information. Later that evening from 6pm to 10pm, we will meet for appe- tizers at the VFW, 105 Main Street (Cash bar will be available). At 9 pm will have a DJ for our entertainment. On Saturday, Oct. 7, we will meet at 6pm for a dinner and entertainment at the VFW, 105 Main Street. Jim Bishop will be our MC for the evening. On Sunday morning, Oct. 6, we will meet at the Parsons High School Cafeteria for breakfast from 8am-10am. The charge for the entire three day event is $50.00 per person. We are unable to accommodate last minute walk-ins and yet, be assured we have enough food for all. Please have your reservation submitted no later than SEPTEMBER 22, 2019. The Golden Reunion Committee is always looking for volunteers for the future events. Please give thoughts to volunteering. Contact a current committee member if you are interested.